My friend Paul Valéry asks me to reply on his behalf to the letter you wrote to him about a quotation from François Coppée. To his regret, it is quite impossible to give you the reference you want, particularly in the complete absence of information about the date, etc ... on the letter in question. Please be assured, Monsieur, of the expression of my especial regard. I have received your letter of the 24th July. Paul Valéry is away from Paris, and his friends need to respect his quiet. I therefore do not wish to pursue him with requests for autographs. 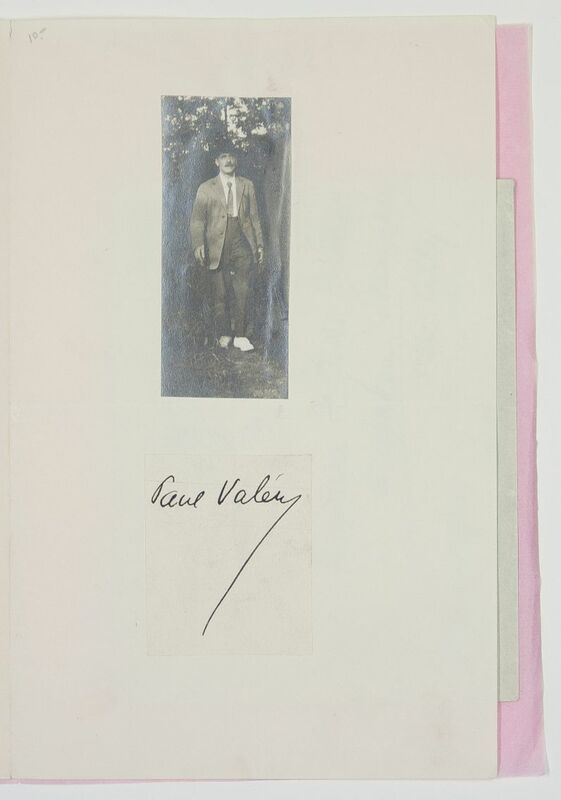 But if I can gratify you by sending, on the opposite page, an informal photograph of him, taken in the country, below which you will see his signature, I do so willingly. You can slip this page into your copy of Charmes. Please accept, Monsieur, my best regards.